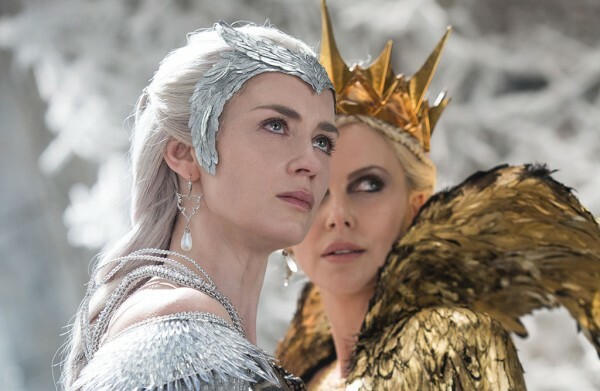 Universal Pictures Home Entertainment will release The Huntsman: Winter’s War early to Digital HD on August 2nd, three weeks before the film is available on Ultra HD Blu-ray (4k), Blu-ray, and DVD on August 23rd. The film can be pre-ordered for $14.99 from services such as iTunes, Amazon Video, Google Play and Vudu but will likely stay the same price upon release. Those who want an extended edition of the film, however, may want to wait until the disc versions arrive as the Blu-ray and DVD will include exclusive bonus features not available with the digital copy such as behind-the-scenes production secrets, gag reel, deleted scenes, commentaries and more (here are more details on the disc releases of The Huntsman: Winter’s War. The Huntsman: Winter’s War is the sequel (and prequel) to Snow White and the Huntsman (2012), with events that take place both before and after ‘Snow White.’ Directed by Cedric Nicolas-Troyan, the film stars Chris Hemsworth, Jessica Chastain, Emily Blunt, and Charlize Theron.